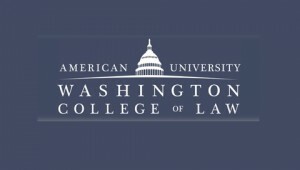 The Fourth National People of Color Legal Scholarship Conference will be held March 21-24, 2019, at American University Washington College of Law. The theme of the Conference will be People of Color and the Future of Democracy. The Conference will explore how we, as people of color and allies, preserve and safeguard democracy in our teaching and scholarship, particularly with respect to marginalized communities. The Conference theme is intentionally broad and relates to critical conversations such as: the role of lawyers and law professors; intersectionality, inclusion, and action; and whether and how to reframe and reclaim particular narratives. The NPOC19 Conference Planning Committee invites proposals for papers, panels, and workshops that fit within the conference theme. The Committee also invites abstracts for projects to be presented in the works-in-progress and incubator sessions. Individual paper proposals should include a title, abstract, and speaker bio. Individual papers will be grouped by the conference organizers into panels. Panel proposals should include a proposed title of the session, a 250-word description of the proposed topic, and a list of speakers (with speaker bios) who have agreed to be on the panel. Please also indicate the suggested format of the session – e.g., traditional panel, roundtable, debate, rapid response (i.e., panelists provide concise responses (2-3 minutes) to multiple rounds of questions posed by moderator). Proposals for the works-in-progress sessions should include a title, abstract, and speaker bio. Works-in-progess sessions are meant to provide a supportive mechanism for sharing drafts and getting feedback. Proposals for the thoughts-in-progress sessions should include include a title, abstract, and speaker bio. Thoughts-in-progress sessions are meant to provide space to share ideas that are still being formed and would benefit from feedback. Deadline: Please submit your proposals to Professors Anita Sinha, Janie Chuang, and Ezra Rosser by means of this online form by October 15, 2018. If you would like to submit more than one proposal, you are welcome to do so using this same form a second time, but note that there may or may not be space in the program to accommodate multiple presentations by the same person. We will get back to you soon after December 1, 2018, regarding proposal selection. Please note that participants will be responsible for the conference fee and travel costs. Letters of invitation for participants to secure external funding will be available. If you have any questions or need additional support, please contact Tony Varona (avarona[@]wcl.american.edu).